Although I am back in Germany, there is some material left from my language exchange in Japan, which I will present you now. 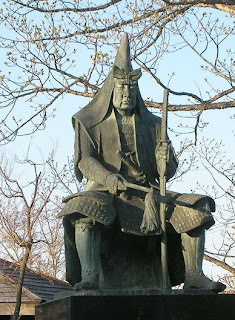 Last time we talked about the three big 大名 daimyo (feudal lords), who influenced the period the most ruling over most and eventually all of Japan. But there were more brilliant warlords involved in this time, who if not for misfortune might have taken the rule in their stead. Two of them I'd like to present to you: 武田信玄 Takeda Shingen and 上杉謙信 Uesugi Kenshin. The are most famous for their romanticized rivalry. Shingen was the first born son of the Takeda clan leader Takeda Nobutora. In his younger years he shone as poet and as military asset to the clan, but once he reached adulthood (after the coming of age ceremony) he started to rebel against his father. It is thought that the reason was the plan of his father to name his second son Nobushige successor of the clan. However at the age of 21 Shingen succeeded over his father and took control over the clan. With a firm grip over the clan, he started to expand the clan's territory and aimed for Shinano province. With his strategic genius, though unexperienced he was able to score victory after victory and eventually took Shinano from the Murakami clan who fled and sought aid from the neighbouring Uesugi clan. With this move Shingen faced his next enemy: Uesugi Kenshin. The rivalry between both became legendary and romanticized in many stories. It was the clash between tiger and dragon, since Shingen's nickname was the Tiger Of Kai and Kenshin was called the Dragon Of Echigo. The clash happened in five chapters, where both men's forces met each other. While the first three were mere skirmishes, the fourth became an all or nothing battle, where both men lost a good deal of their troops. It is also this battle where Shingen is supposed to have met Kenshin, who was fighting through Shingen's troop with his cavalry eventually facing him personally. 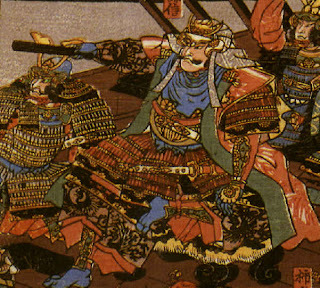 Kenshin aimed for Shingen's head and stroke with his sword, but Shingen quickly lifted his war-fan and was able to block the hit. After this battle Shingen had to recover his forces, which was made more difficult by how own clan, since two people including his own son, desired his power and tried to assassinate him. He uncovered their plots and threw his son into prison, but was weakened and only scored small scale victories, taking some area from Uesugi clan. After he had recovered he had to realize that next to Uesugi Kenshin, another warlord had emerged and threatened to conquer all of Japan: Oda Nobunaga and his ally Tokugawa Ieyasu. Kenshin realized that he was the only one with enough abilities to stop Oda reaching his goal and thus challenged Ieyasu's forces in Futamata. 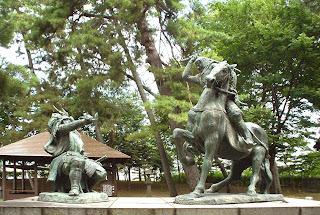 Realizing the strength of their enemy Tokugawa and Nobunaga stood united against Takeda at the battle of Mikatagahara facing Takeda. 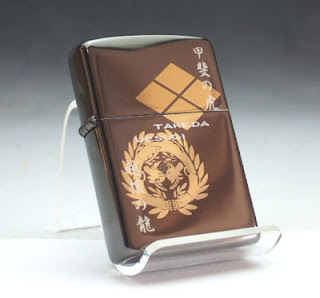 Despite of the power of the alliance, Takeda could win the battle even if not decisive. Preparing to face them again in Mikatagahara Takeda died of illness in his camp. He was succeeded by his forth son Katsuyori, who was ambitious but not as brilliant as his father. 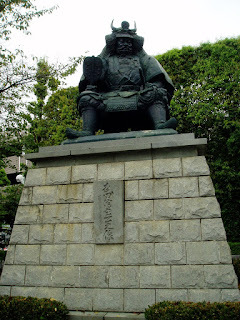 After he could steal some castles from Tokugawa, Ieyasu and Oda united against Takeda and destroyed the clan's forces in the battle of Nagashino. Takeda Shingen's rival Uesugi Kenshin's father Nagao Tamekage was an successful warlord in Echigo. However he was forced to face the Ikko-Ikki and Echigo's power dwindled under their pressure. Eventually Tamekage gathered all his forces and marched westwards, where Ikko-Ikki's forces ambushed and destroyed him. The death of Tamekage resulted in a struggle for power among his son's, which cost the life of the second son. Kenshin, who was only 7 years at that time, was given to a temple for receiving education and for being out of the line for power politics. There he spent the next 7 years by studying. At the age of 14 some of his father's followers sought him to claim power over the clan, as his ruling brother proved incompetent. First reluctant to face his brother, he was later convinced it was for the greater good of the whole clan. With the support of the clan leaders he was then quickly able to overthrow his brother and take control. His first move as daimyo was to strengthen his position in Echigo and bolster his forces. However soon leaders from the Murakami (and other) clans came to him requesting help against the advancing powerful warlord Takeda Shingen. Soon he saw Shingen come close to the borders of Echigo and decided to stand his ground against this enemy. You already know how this battles turned out, so let me add that both lords were what we would call gentlemen. Outside the battlefield they honored their enemy and even exchanged gifts. And not petty gifts but the most precious and dearest items they had, like a magical sword. When Shingen suddenly died Kenshin is said to have wept one night long uttering never again to meet again an enemy so worthy like Takeda Shingen. More than that, he vowed not to attack Takeda lands in honour to his fallen rival. Kenshin was also seen as a highly religious man, which might be caused by his visits to the Shogun in Kyoto, where he always visited many shrines and temples. His next enemy after Takeda clan was to be the Hojo clan, which took control over the Kanto area. Although powerful, Kenshin was able to take many castles from them only failing in taking down the powerful Odawara castle, although all the surrounding lands were already conquered by him. Eventually he had to break the siege for his supplied were running low and retreat to Echigo. 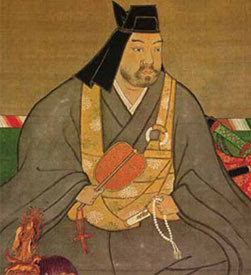 Apart from Kanto, he successfully first mediated then intervened in a conflict of two daimyo in Etchu province, which he then took for himself. 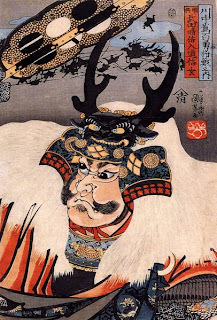 When daimyo Noto died, he also quickly took the lands of the weakened clan and had a considerable empire to rule upon. At this time, he had to consider the threat of the ever rising Oda Nobunaga. With Takea Shingen and Hojo Ujiyasu (the powerful ruler over the Kanto area) dead, Kenshin was the only one able to oppose Oda Nobunaga. Coming to the same conclusion and remembering the defeat they had when opposing Kenshin's euqal rival, Oda Nobunaga and Tokugawa Ieyasu gathered almost 40.000 men, the largest contingent, which has fought on Japanese ground then. But despite their enormously overwhelming numbers, Uesugi not only defeated them, but was able to score a solid victory and Nobunaga had to retreat and fall back to Omi province. After this encounter he met the same fate as his rival. He was unbeaten on the field, but stroke with a horrid sickness which tore his health apart and eventually killed him. Now the empire is mine. And it proved true, when Kenshin's successors fought a clan internal struggle weakening the clan enough for Nobunaga to easily take it over. You see that though Oda Nobunaga with Tokugawa Ieyasu and Toyotomi Hideyoshi proved victorious, there were two men, which they never could have defeated on the battle field. Who knows how the Sengoku Period would have turned out, if not for the death of the two.